The role of an optical receiver is to convert an optical signal into an electrical signal. The goal of an optical transmitter is to convert an electrical signal into a modulated optical signal. These requirements define digital transceivers as well as analog receivers and transmitters. However, they differ from each other in respect of design requirements and design considerations, irrespective of digital or analog. The digital transceivers deal with large signals, while the analog receivers handle smaller signals per channel and overall large loading due to multi tone transport. On the other hand, both topologies have common requirements that can be analyzed similarly, such as sensitivity and jitter, with minor differences. Digital transceivers, however, differ from analog with respect to interfaces, controls, status, reports, and indications due to the differences in mode of operation. As for transmission, an analog transmitter handles fewer signals per channel since the optical modulation index (OMI) is low, about 4% per channel at maximum. But it has to transmit many channels; hence, the loading is similar to that of a large signal. The modulation depth for a digital transmitter is that of a large signal, driving the laser between threshold to high conduction and high optical power. Digital transceivers consist of three main blocks. 1. The optics section, which can be wavelength division multiple access/multiplexing (WDM) duplexer module, triplexer module, or laser PD block transmitter optical subassembly (TOSA) and PD module receiver optical subassembly (ROSA). 2. The receive section, which is an electrical circuit. 3. The transmit section, which is an electrical circuit. Additional functionalities are added to the transceiver module in order to provide the system management indications, control, and diagnostics such as the follow. Digital transceivers are well defined by standards. The TUV standard defines the means for eye safety and laser shut down for eye protection. This eye safety circuit turns off the laser and prevents high current to bias the laser; high optical power emission that can damage the eye is prevented. Data rates are defined as OC12, 24, 48, etc. Packaging standards were defined by the multisource agreement (MSA) as listed below. However, packaging standards for CATV receivers or FTTx integrated triplexers (ITR) or integrated triplexers for the curb (ITC) form factors are not defined by standards. 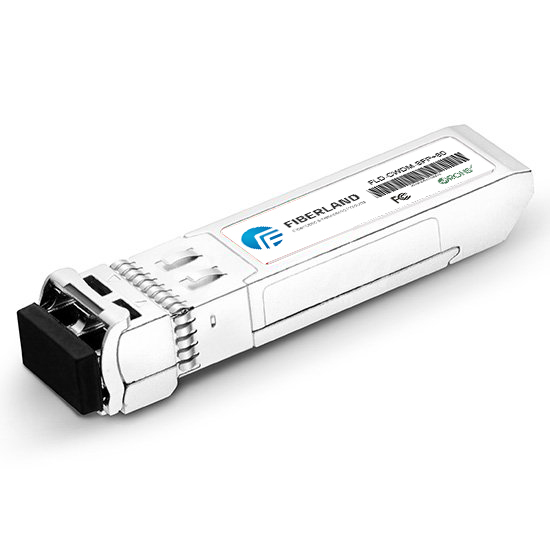 Digital transceivers cover broadband data rates up to 10 GHz XFP. Digital transceivers in optical networks operate in TDM (time division multiplexing) in order to serve more users when utilizing the same wavelength. A digital transceiver block diagram is provided by the figure below.